Who doesn’t love flying drones? When I was a kid I always wanted one of those RC helicopters, but they were too expensive and I never experienced flying one. However, with the rise of drones, the experience of flying these awesome toys is now accessible to everyone. 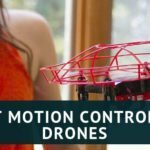 This article lists the 8 best drones for kids and teenagers. Flying a drone isn’t always easy, therefore, when buying a drone for a kid, it is vital to choose one that is safe and easy to fly. By doing that, you avoid wasting money on an overly complicated drone, and you keep everyone safe from any harm. 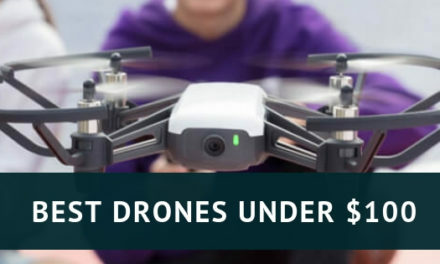 Here is a list of the eight best drones for kids and teenagers that should help you get the most value for your money. 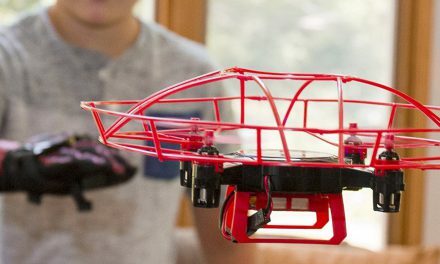 What Makes A Drone Suitable For Kids And Teenagers? A drone you get for a child is different from the fancy high-tech drones used for filming and other professional purposes. 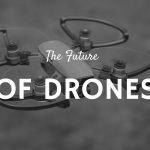 In fact, when it comes to drones, there is an incredible variety to choose from. Overall, a child-friendly drone is smaller, safer, and easier to fly and control than a professional drone. Other than that, the specifics will vary from one model to another. Different drones have different flight times, sizes, and weights. They take different spans of time to charge, and some have cameras, while others don’t. Besides that, it’s very important to pay attention to the type of controller that you get with the drone. 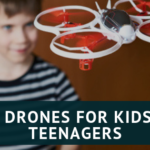 Essentially, the best drones for kids and teenagers are powerful enough to be exciting, but also easy enough to master. Without further ado, here is my pick of the best drones you can find for kids and teenagers. The ScharkSpark Drone is an ideal choice for beginners and kids who are eager to learn how to fly a drone. It is incredibly fun and looks awesome, it would make a great gift for those special occasions. It comes with altitude hold technology that makes it easier to fly and there is a bright LED light on its nose that makes it suitable for some night time fun. 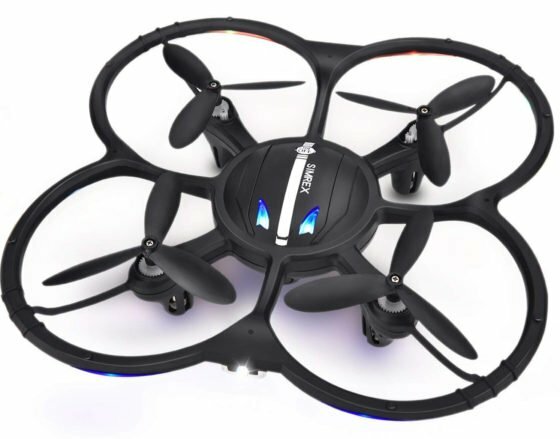 The one-key takeoff and landing feature allows this drone to lift off and land automatically. This built-in intelligent behaviour can spare you a lot of stress in the beginning. Besides that, this drone has three different speed modes, which makes it suitable for everyone including experienced pilots. However, what I loved most about the ScharkSpark is that it allows you to make really cool flips. This drone can roll over and flip in all directions, which is incredibly fun to do and watch. It is a lightweight foldable drone which makes it great to travel with, a fun drone for kids and beginners. Visually attractive and easy to control, this model by Redpawz is definitely one of the best drones for kids. Most importantly, it is full of fun and unique features. For example, its beautiful LED lights make it suitable for playing at night. In fact, it looks incredible when flying against the night sky. The model comes with headless mode which makes it easier to fly and with added propeller guards, this makes it very fun and safe drone. On top of that, just like the previous model, this mini-drone can do some great-looking 360-degree flips. It is incredibly stable and good for flying indoors. The drone comes with one-key return function, this will allow it to come back to where it took off and it has a flight time of 5 minutes. This could be improved but it is a drone aimed at kids and beginners so really its not that much of a deal. 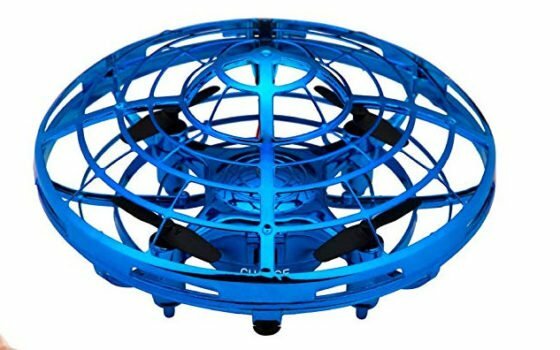 I love the design of this drone, it looks very futuristic and comes with some awesome features that will provide endless fun for everyone. First of all, the C16 Quadcopter allows you to choose between several speeds. That makes it appropriate for users of all skill levels. 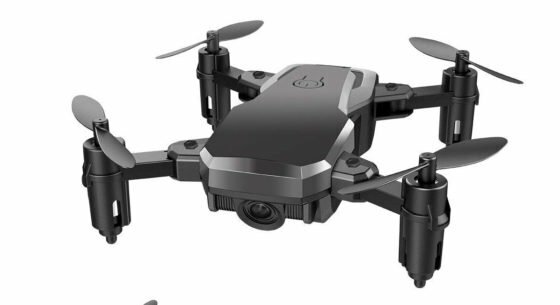 It also comes with headless mode feature, this will allow you to fly the drone without having to worry about the orientation of its front (head). The drone comes with altitude hold and one-key take off and return, both these features make it easier to fly and a good choice for a kid’s first drone makes. 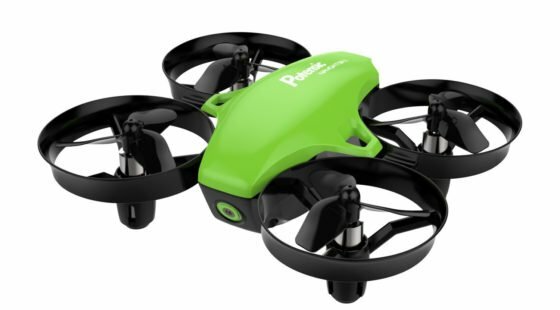 It is a lightweight foldable drone and is surprisingly very durable. Would make the perfect Christmas gift for a kid. It has a range of around 50m and can stay up in the air for around 15 minutes which is a surprisingly long flight time for drone this cheap. 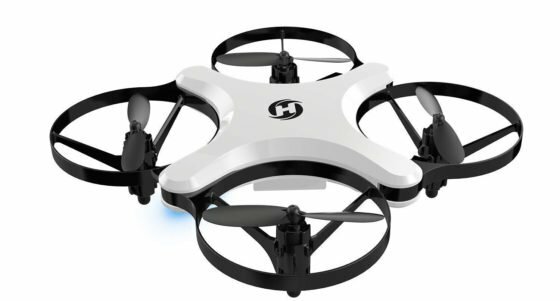 The Holy Stone HS220 is slightly more expensive than the ones we have already mentioned but that it because it comes with a ton of exciting features that makes it fun drone for everyone and not kids and teenagers. The standout feature of this drone (and the reason ay many people buy drones) is the HD camera that comes with it. This allows you to take images, record videos and even stream live footage to your mobile device. You will need a smartphone to make full use of the camera. Other features include altitude hold, one button take-off and landing, four different speed modes and 3D flips and an LED for night time flying. The HSS220 can fly for around 10 minutes and has a range of around 60m. 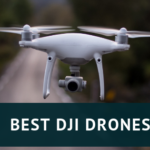 One of my favourite drones on this list. The ScharkSpark Thunder drone is a fantastic little drone that looks stunning and comes with lots of features. It comes with an HD camera with FPV capability, you can link up your smartphone with drone and take awesome videos and stunning aerial images. 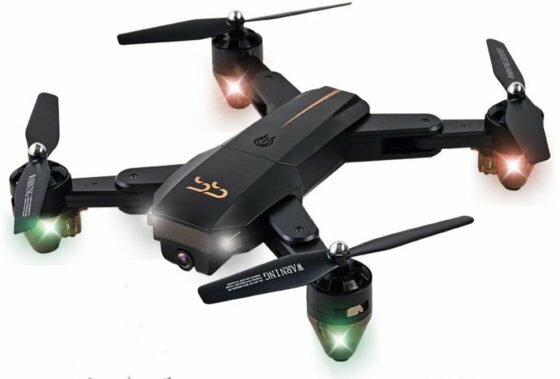 It has multiple speed modes for users of all levels and a fantastic safety feature that will return the drone to its original coordinates with the push of a button. Like the other drones on this lost, it comes with altitude hold and does 3D flips at the push of a button. 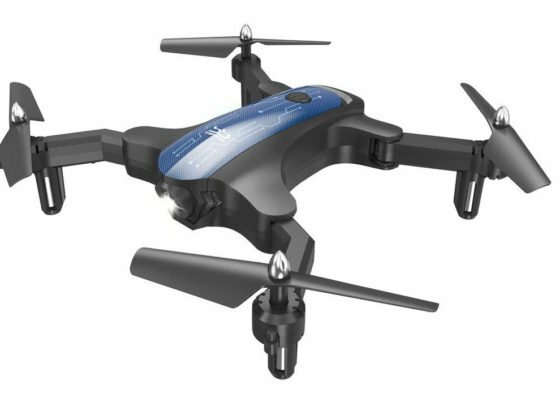 Flight time is around 8 minutes but the good thing is you get two batteries with this drone (usually you only get one). This is a foldable drone that is lightweight easy to travel around with, a drone that everyone will enjoy including kids, adults and more experienced pilots. 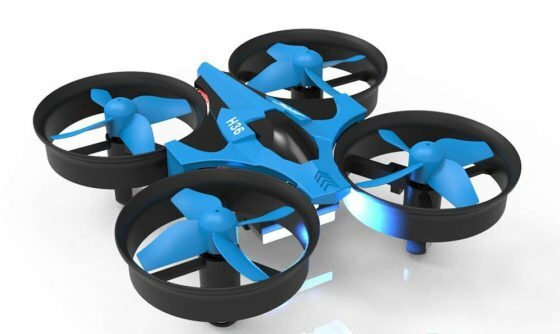 This is truly a drone made for kids but do you know what? Everyone will love flying this gadget, it looks awesome, is crash resistant and it does not have a remote control. So how does it fly? Through motion control!! I get excited by just typing that, it’s like having super powers!! Its a simple looking drone but there are hi-tech sensors around the drone that allows you to control it through hand movements. Even if you manage to make your drone bump into objects in its way, you can rest easy. Its tough exterior shell can take on a lot of hits. It’s small and lightweight and will provide lots of fun for everyone, not just kids. It comes with a couple of safety features like altitude hold, which makes it easier to fly at a certain height and propeller guards to protect it from being damaged if you happen to crash it (it will happen for first-time flyers!!). The controller looks like a miniature video game controller and has a button for automatic take-off and landing. The drone will also start beeping if it goes out of range which an added safety feature and very useful for kids and beginners. It has a flight time of around 7 minutes and a range of 20m, it is a fun drone to fly but I would never advise it being used outside as even the slightes wind can taket off course. The final spot on our list of the best drones for kids and teenagers belongs to this model by Simrex. Like most other models on our list, this drone comes with a bunch of features that makes it fun and safe to fly. It is very simple and easy to control, which makes it great for all level of drone flyers. You can use it to do 3D flips in all four directions. On top of that, the Simrex boasts a number of safety features, it has a headless mode so you do not need to figure out the front and tail of the drone and it comes with propeller guards to protect it from being damaged. What I especially liked about this model was the level of quality you get for an extremely reasonable price. It is an ideal Christmas gift for adventurous boys and girls, but just as fun for any adult looking for a first-time drone experience. The controls are easy to work and don’t take long to figure out. Most importantly, it’s durable enough to withstand a couple of bumps, however, this is done that is more suitable for indoor flight, as even slight winds can knock it off course. Flight time is between 8-10 minutes and it has a range of 40m. 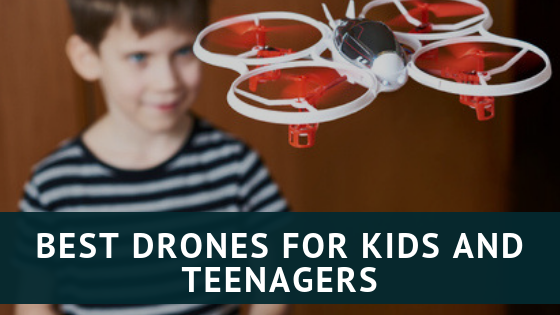 Hopefully, you’ve enjoyed this list of the best drones for kids and teenagers. While all these drones are simple and kid-friendly models, it can’t hurt to be careful. My main piece of advice is to read the manual and follow all the security rules. They all exist for a reason. No matter how simple the drone is, it will still take some time to get used to it, since each model is unique. Besides that, make sure to only play with it in an appropriate area with plenty of room. Stay responsible, and nothing will be able to spoil your fun!